In an industry with an insatiable need to be streamed, artists like Billie Eilish and Post Malone reign supreme. But there is also a genre that has considerably grown over the last few years, punk. With Slaves and Idles spitting out the social and political fodder fed here in the UK, across the pond are a group of artists tapping into the exhilarating recklessness of youth. FIDLAR, Cloud Nothings, Pkew Pkew Pkew to name a few and now Toronto, Ontario’s very own punk powerhouse PUP. Comprised of Stefan Babcock, Nestor Chumak, Zack Mykula and Steve Sladkowski, PUP have swiftly become favourites on the punk scene with their first two, critically-acclaimed albums. Now they’re back with their new album ‘Morbid Stuff’, produced by Dave Schiffman (Weezer, The Mars Volta). Despite its grim title, ‘Morbid Stuff’ is raucous in its delivery. Stefan Babcock’s subject matter of heartbreak, broken dreams and self-loathing are layered with acerbic wit. Babcock hooks listeners in on ‘Free At Last’ with its callous chorus ‘just cause you’re sad again, doesn’t make you special at all’ while lyrically ‘See You At Your Funeral’ could be perceived as a bitter tale of resentment but cleverly delivered with such glee that you can’t help but smile at the emotional wreckage laid bare. At times the album can often flip and send a barrage of noise in full force with tracks like ‘Closure’ and ‘Full Blown Meltdown’ while ‘City’ quietly arrests listeners with its swirling guitar riffs before crescendoing into a full-blown rage record. 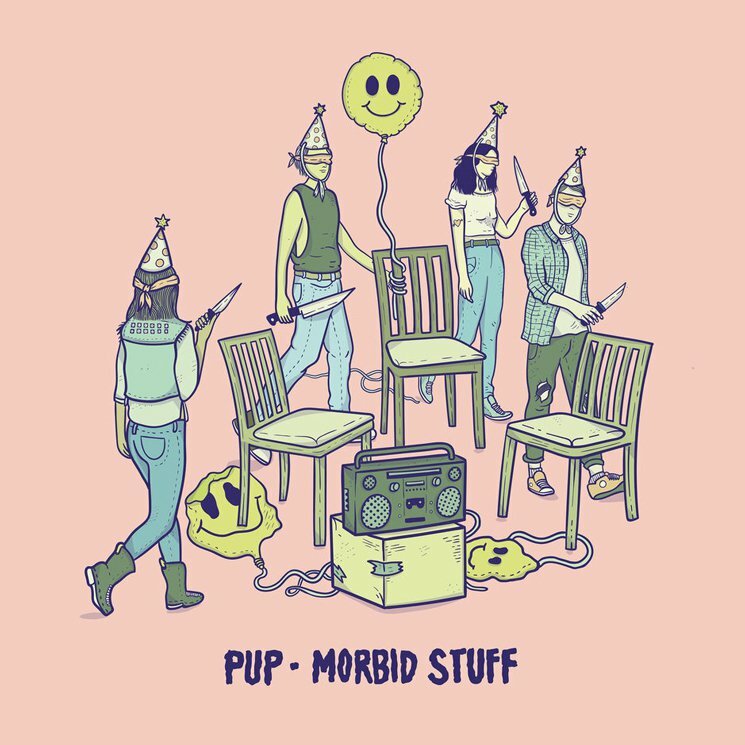 Often insightful, frequently funny and packed full of rage, ‘Morbid Stuff’ is PUP’s biggest and brightest record yet and proves that punk is back and better than ever.